An Ordinary Pen: We have a bed! Josh and I hold strongly to the philosophy that there is plenty of gently used, beautiful baby stuff floating around our community for cheap or free. It's almost never absolutely necessary to go with new stuff. This makes having a baby on a small budget much more doable! That being said, we've started the hunt for the couple of big items that we'll need in order to provide foster care to an infant or toddler. 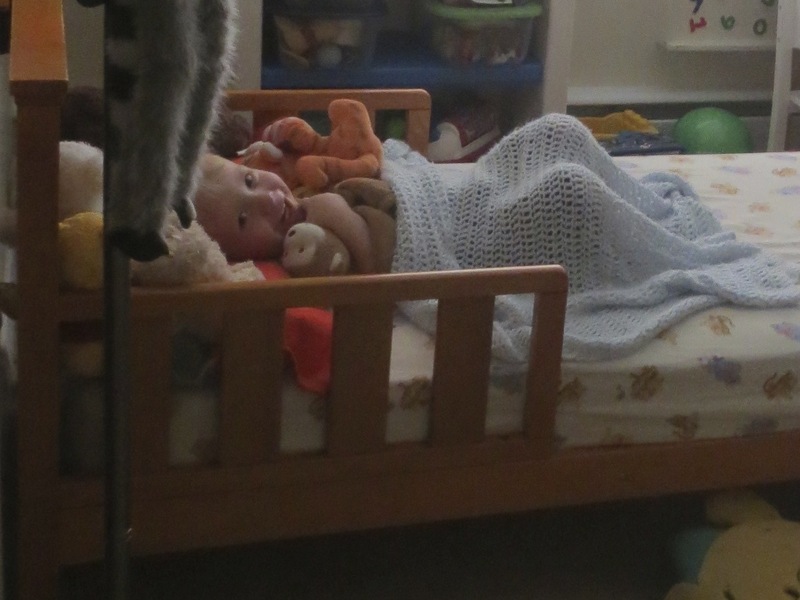 One of our biggest remaining needs was either a second crib, or a bed for our 2-year-old. So last week, a day or two after our initial post about foster care, I got a text from a neighbor from our previous apartment building (who didn't know we were moving toward foster care, but was just texting "out of the blue"). Did we want a free toddler bed for A? And did we want him to drive it to us that day?? As I was still in the middle of writing a reply, thanking him for his generosity and the extra thoughtfulness of his offer to drive it to us, I got a second text from a friend: Did we want a free crib mattress? I was totally blown away. Josh and I would still provide foster care even if we did have to buy a bed, and it wouldn't really be a big deal. But it makes me smile when God covers the little details anyway. And A? 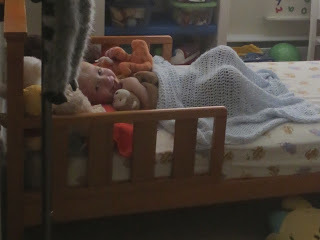 He loves his toddler bed.